Want to navigate all over the world for free? Wisepilot makes your wish come true! The app’s turn-by-turn navigation, voice guidance, and speed signs together with speed limit alerts will make sure that you feel safe and sound all the way to your destination. Say goodbye to old and outdated map data! 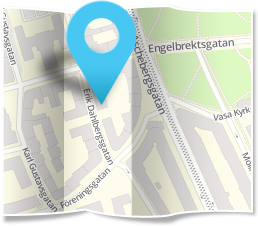 With Wisepilot you’ll always have online access to the latest maps from OpenStreetMap at no extra cost. And as it’s community-edited you can easily make changes and updates yourself if you still think something is missing. If you decide that you want even more Wisepilot goodness you can become a Premium user. By upgrading your app in the Shop you’ll get live traffic information (Inrix) and speed camera warnings (Cyclops), and as an added bonus all ads will magically disappear.